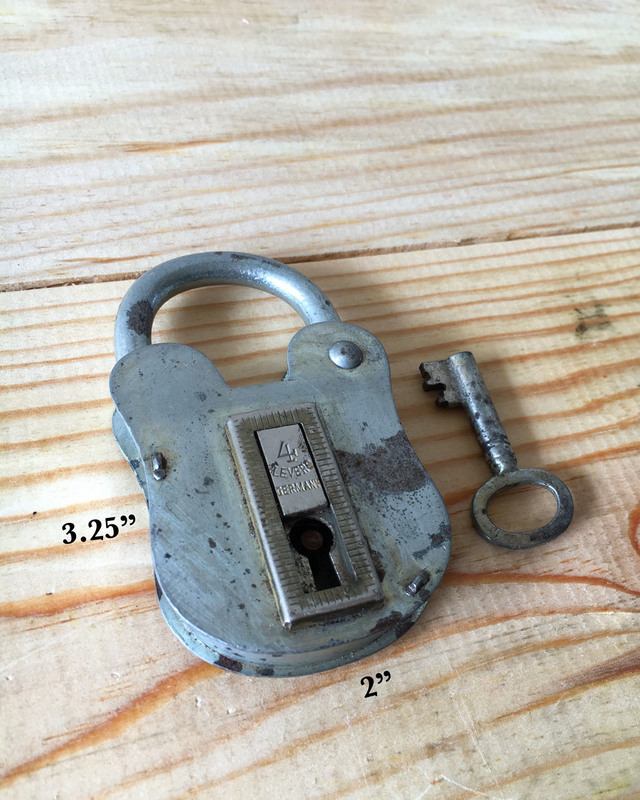 Age of this fully functional lock can be seen on it as it is naturally distressed with marks. Great for safe keeping your guests' well wishes or for your money box. Lock measures 3.25" x 2".